Get up close to Our Beautiful Northumberland Bogs with the experts who know and love them. A unique opportunity to travel north of Hadrian’s Wall and visit one of the best bogs in the area with national park staff who know and love these special places. This short bus ride and easy 10min walk will really bring to life everything you have seen about bogs. Listen for the return of the curlew, see the amazing geology of the great Whinsill and even have a go at measuring peat depth. On returning to The Sill you'll be able to join National Park staff in our learning rooms for a close-up view of the special mosses that make up our bogs, play an interactive bog game, plant out your own tomatoes plant or sunflower using compost containing no peat. Visits last approximately 90 minutes. Please wear suitable outdoor footwear. 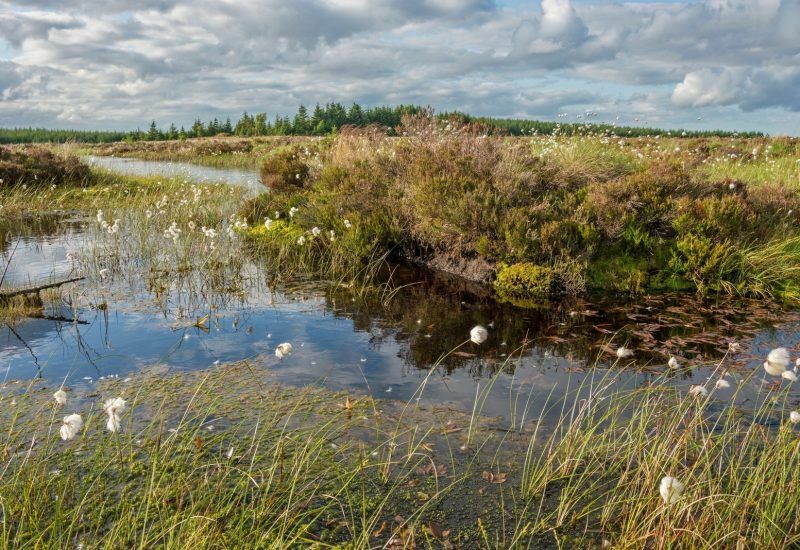 To find out more about our peatlands don't miss The Flow Country Exhibition.